Wish you a very very Happy Birthday 🙂 many happy returns of the day. This post is about a young boy called Robi who didn’t like going to school. 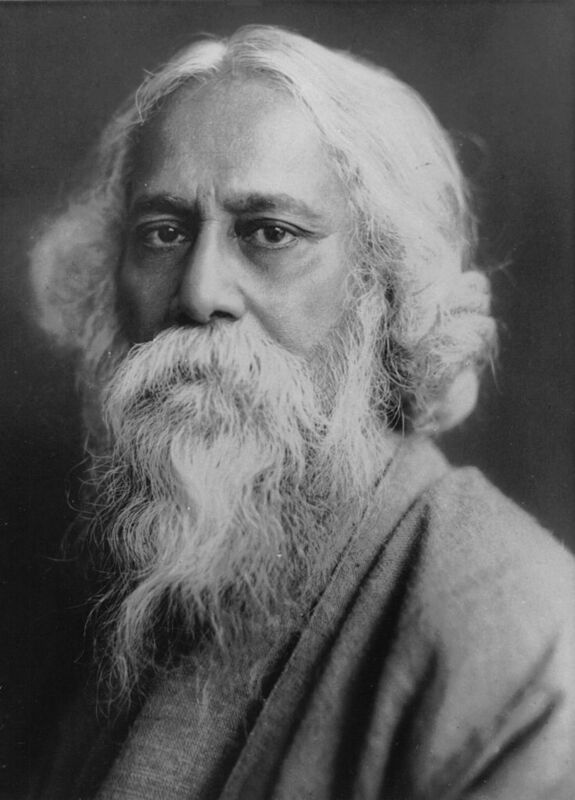 He was born on 7th May 1861 at his father, Debendranath Tagore‘s house, in Jorasanko, Kolkata. He was born more than 100 years from today, your birthday. He would have been a really old man today if he would have been alive! Robi or Bhanu, wanted to play, climb trees, get into mischief, find ghosts in the large house he lived in and he felt going to school and following a routine boring. It made all the fun of open spaces so much more interesting as he hardly got permission to go out of home. Do you like going to school Arushi? Where is your school? What all do you learn there? He had to learn everything from geography, maths, Bangla, history, geometry, even judo, wrestling, drawing and swimming. His least favourite subject was English. What is your most and least favourite subject? Do you know Robi started writing his own poems in Bangla since he was 8 years old. Everyone in his family and their friends loved hearing him recite these. So you know what Robi decided to do? He remembered as a child going to Bolpur with his father, a place where his father would meditate under a huge tree. He loved the wide open fields, the green trees, the blue skies, the birds and animals and wanted to start a different kind of school there. He named this place Santiniketan or ‘an abode of peace’. To him this place stood for everything his school and college didn’t – it was a place of happiness, fun and beauty. 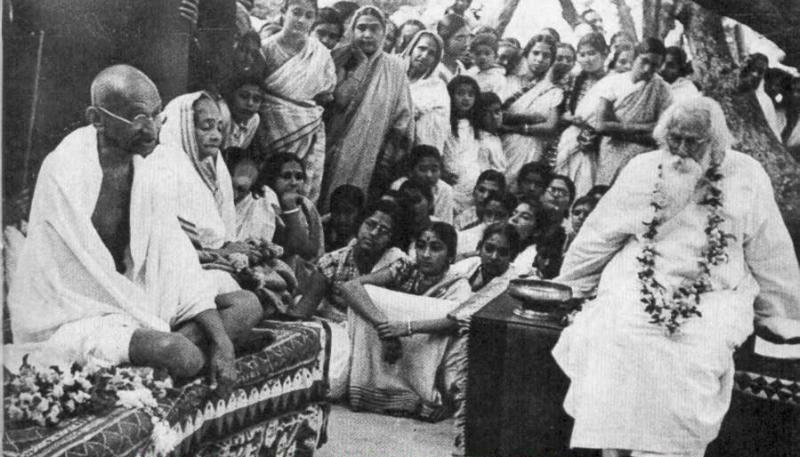 The school he started in Santiniketan is called Patha Bhavan and even today classes are held under trees, in the open. Once some students told me that they were very happy to see a cow eat away their answer sheets from an exam as these sheets were kept behind the teacher and he couldn’t see the cow eating them 🙂 Imagine how much fun every child must have had that day. 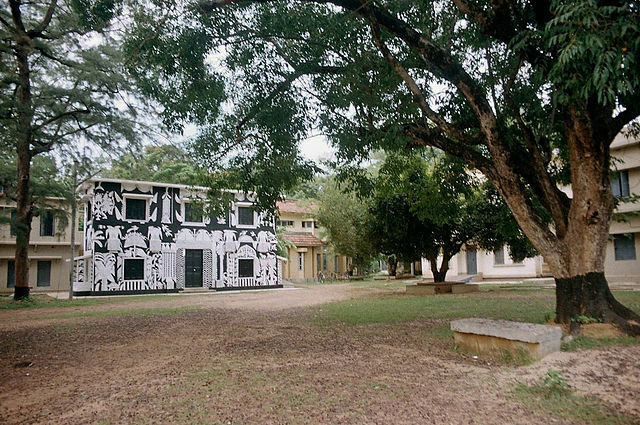 The colleges he started still exist in Santiniketan. The Arts college is called Kala Bhavan and the dance, musice and theatre college is Sangeet Bhavan. You can actually learn to sing and dance for so many years of your life and no one will scold you for not studying. As this is studying! Robi grew up and composed more than 2000 songs, wrote thousands of poems, and short stories, travelogues, articles, novels, ballads and plays. He even sang and acted in some of his plays. This young boy Robi is famous as Rabindranath Tagore, the old man in a white flowing beard whose photograph you might have seen. You would have heard of him, after all he has written India’s national anthem : Jana Gana Mana. You can ask your mother to show you the link to it, have attached it in the above line. Your mother and I studied in a school in Jaipur called the Maharani Gayatri Devi Girls’ Public School. 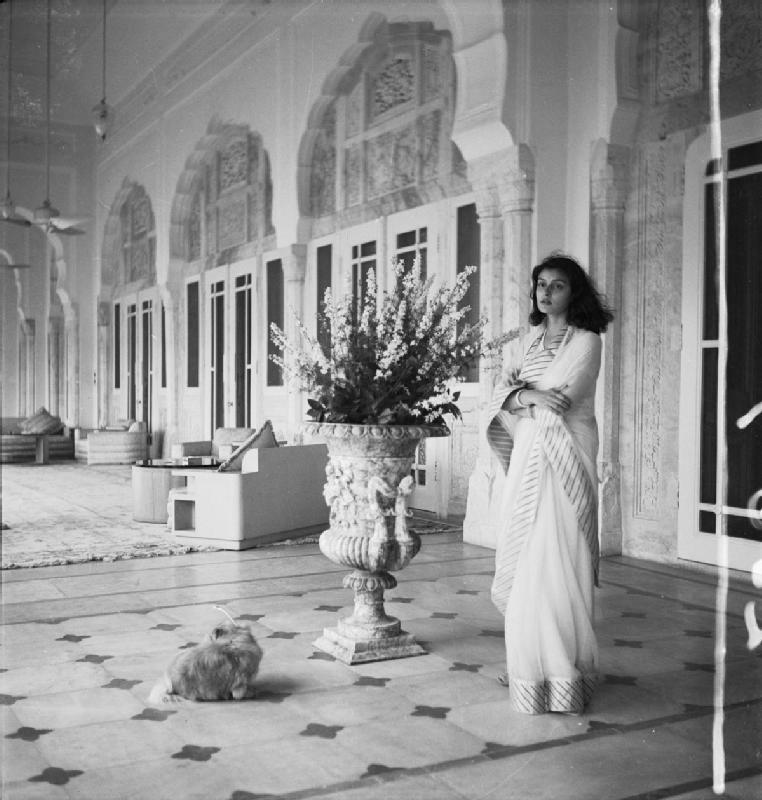 Our school was named after Gayatri Devi who had studied at Patha Bhavan and wanted us all to enjoy school. That is why we all know how to paint, dance, sing, make blue pottery, tie & dye, batik, embroider and many other beautiful and exciting things. Tagore started painting when he was 60 years old! We cannot even imagine what all he might have done if he had lived till today. Maybe written a beautiful blog for you, dear Arushi. Beautifully written! You paint a picture with your words, and one wants to be there, in the time you speak of and the places you show. What a wonderful present for Arushi, a very happy birthday to her!! Beautiful I read it as me and Brijraj scolded NEEL for not studying gave a big lecture if you don’t study than what will happen?